Spring is a time when nature bursts out & splashes colour all over after the duller winter months. 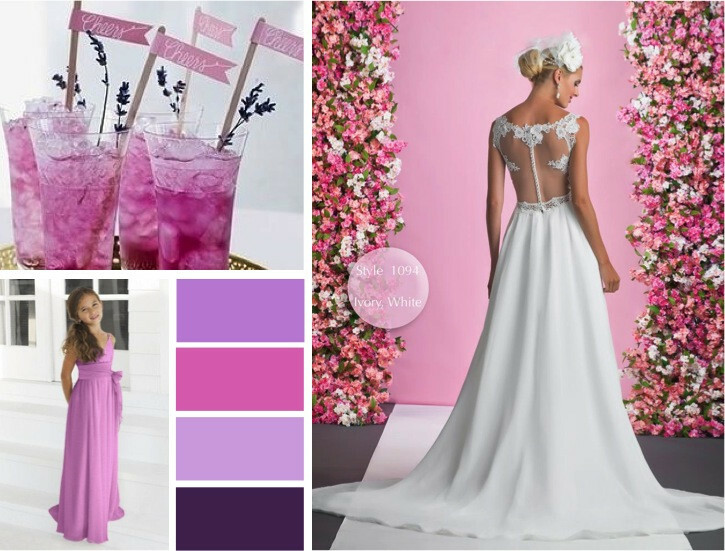 Featuring our current bridal gowns, be inspired with some luscious spring colour palettes showing off our pretty bridesmaids. 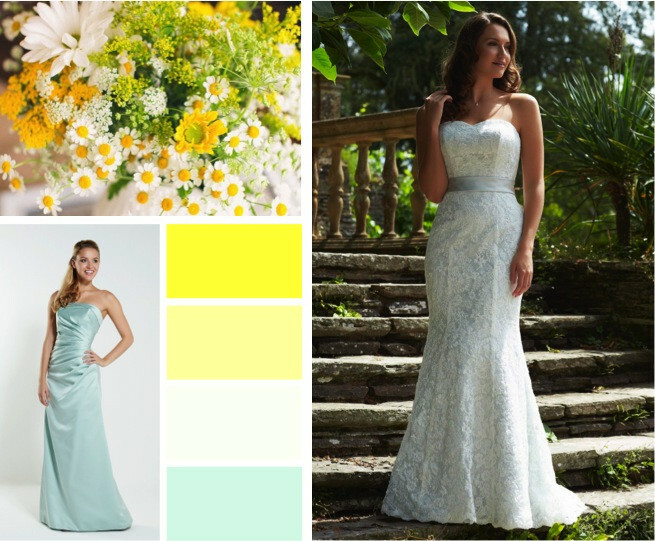 Our helpful hints on how to pull together your perfect wedding colour palette..
Spring wedding palette with yellow mellow colours & sea-mist mint. Satin bridesmaid dress in colour option sea-mist. Wedding dress Seattle by Romantica of Devon from Alison Jane Bridal. Bridesmaid dress Miv by Romantica of Devon from Alison Jane Bridal. Wedding dress style 1094 by Alexia designs from Alison Jane Bridal. Bridesmaid dress style 45 by Alexia Designs juniors from Alison Jane Bridal. 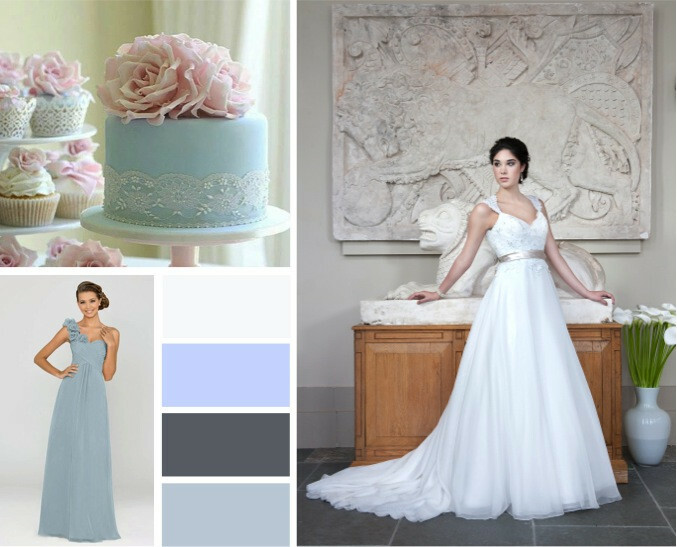 Wedding dress Nimes by Heritage bridal from Alison Jane Bridal. Bridesmaid dresses 208l by Alexia designs from Alison Jane Bridal. 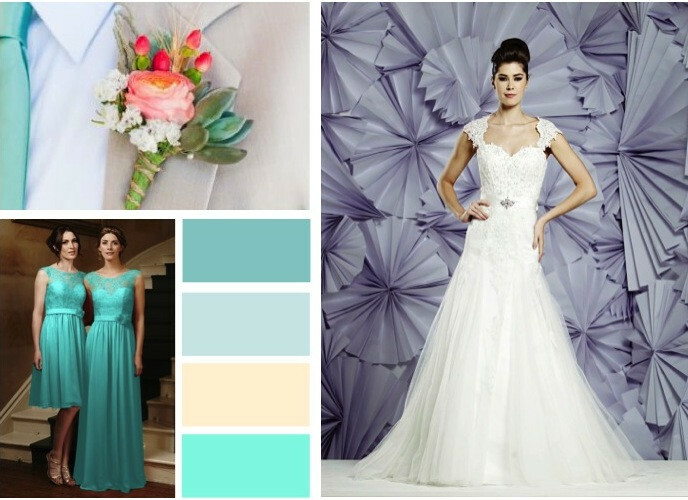 A refreshing wedding palette of aquamarine, tiffany, aqua & mocha, with chiffon & lace bridesmaids dresses in colour tiffany. Wedding dress Janet by Romantica of Devon from Alison Jane Bridal. Bridesmaid dress 4204 by Alexia designs from Alison Jane Bridal. 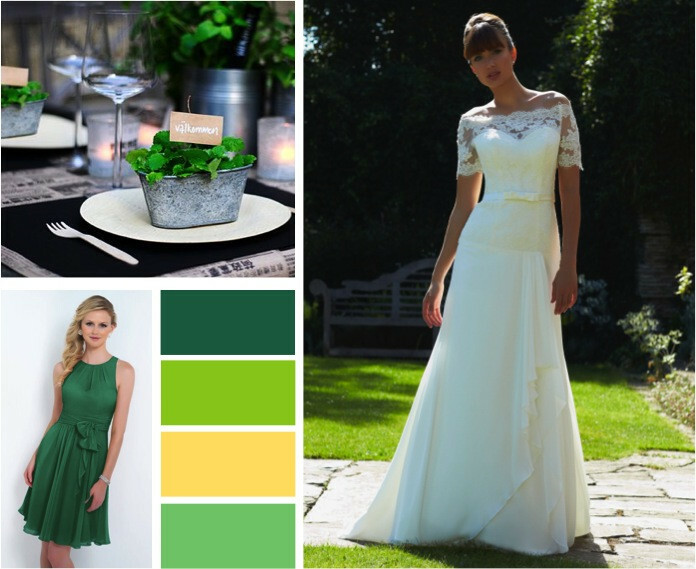 Apple & leaf green with lemon create a vibrant earthy colour palette with a chiffon emerald green bridesmaid gown. Wedding dress style W404 by Alexia designs from Alison Jane Bridal. Bridesmaid dress by Alexia designs from Alison Jane Bridal. 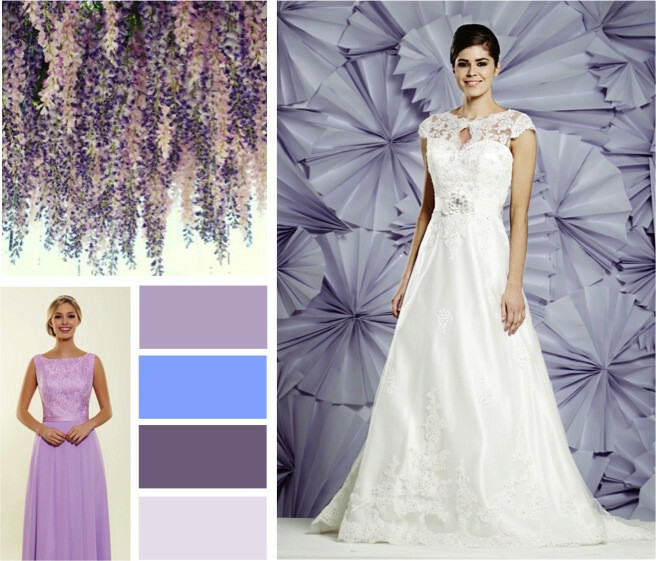 Iris, lavender, cornflower blue & amethyst bridal colour palette with a chiffon & lace lavender colour bridesmaid gown. Wedding dress Sante fe by Heritage bridal from Alison Jane Bridal. Bridesmaid dress Berry by Romantica from Alison Jane Bridal.